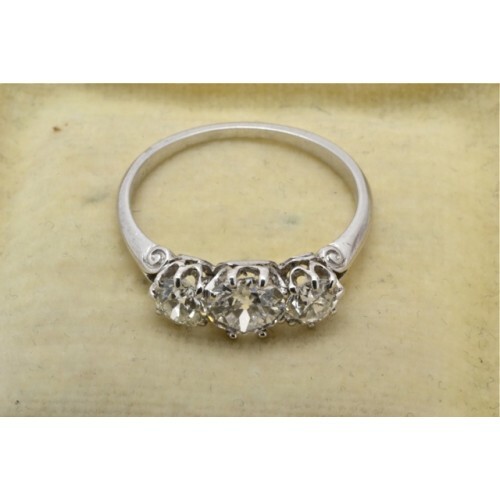 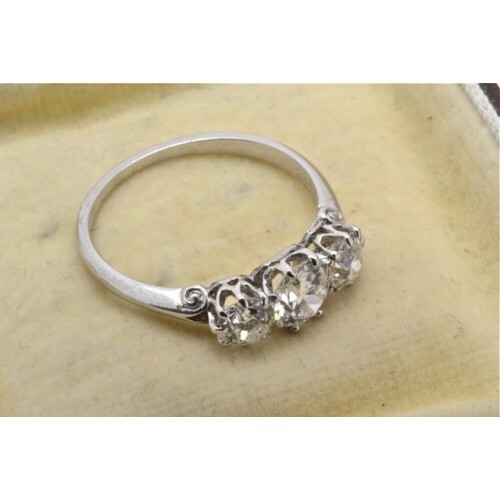 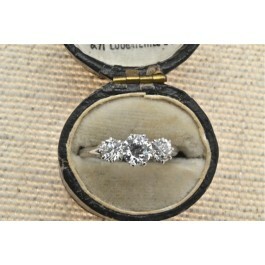 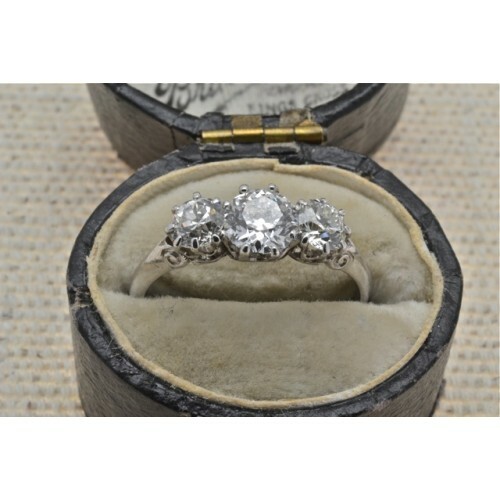 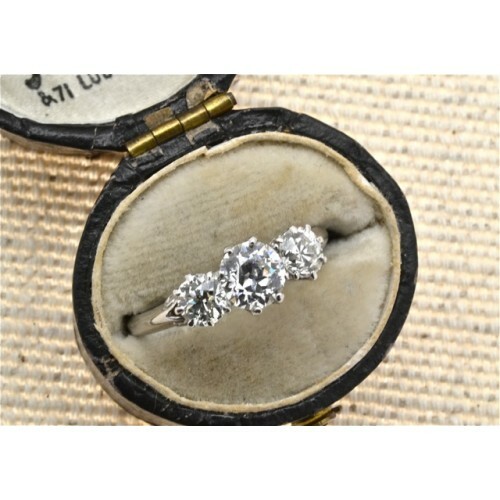 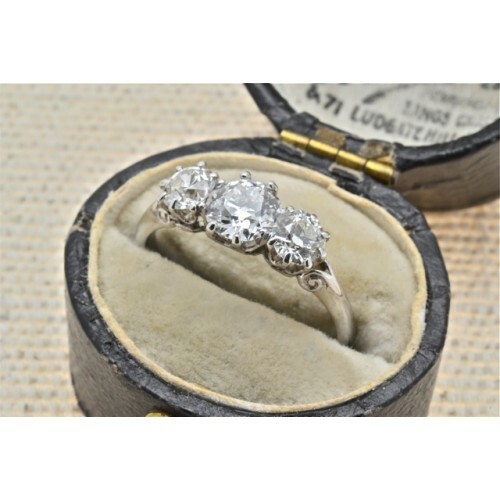 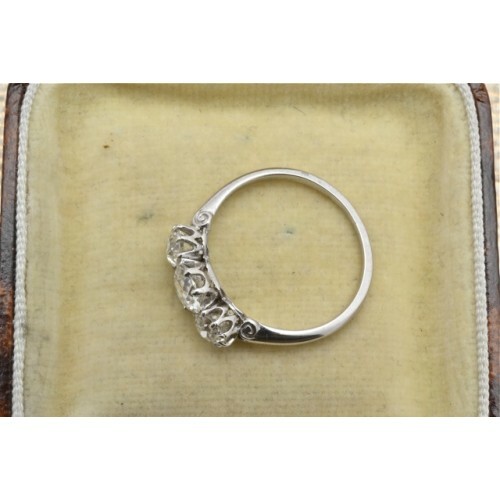 Antique Platinum set three stone diamond ring, having old cut stones weighing circa 1.20 carats, H/I Colour, SI Clarity. 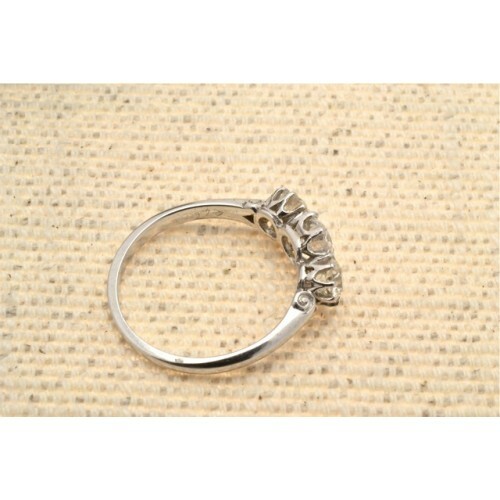 Crown collet claw set mount. Dated circa 1930.